Nata Thurakkal (Opening) is at morning 3 o'clock and closing is at 9.15 PM. There are 5 poojas and 3 sheevelis on normal days. 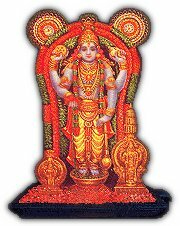 There will be 21 poojas if there is Udayasthamanapooja. On such days closing will be about midnight after vilakku. Also on such days there will be small changes in timings of pooja's till uchapooja.